Being involved in an accident in Cleveland, OH can cause you physical harm that is permanently damaging. 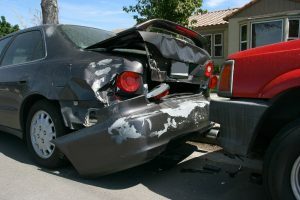 This kind of physical impact can make it extremely hard to get back to the life you were living prior to the incident. If you have suffered from this kind of experience, then you know it can be very difficult, if not impossible, to get back to work after your injury. It is usually during this time that one would apply for Social Security Disability Benefits. The application for Social Security Disability Benefits, or Supplemental Security Income (SSI benefits), can be quite an arduous process. Unfortunately, 70 percent of those who apply to the Social Security Administration, or SSA, for SSI benefits are denied on their first try. If you are in Cleveland, Ohio, and you are seeking to gain access to social security disability benefits, you can be sure to find a licensed, professional disability attorney. He or she would be glad to help you get the benefits you deserve. In order to qualify for disability benefits, your condition must meet certain requirements according to the SSA. These requirements include an injury that renders you unable to work, either in your previous jobs or any other professions. Your condition should also last, or be expected to last at least one full year, or it can be expected to result in death. In Cleveland, Ohio, acquiring SSI Benefits can be much easier with a qualified attorney who will spend the time walking you through the process. He or she will have the experience you seek to help you get the benefits you need to survive. As disability lawyers in Cleveland, Ohio, as well as Akron, Canton, Sandusky, and Youngstown, we are looking out for your best interest. Liner Legal is a unique law firm, different from other disability attorneys in Cleveland, Akron, Canton, Youngstown, Sandusky, and other locations in Ohio. We really care about you and the issues you are facing. We treat our clients as we would want to be treated. That means standing with you each step of the way. Contact us today and learn about the Liner Legal Difference!